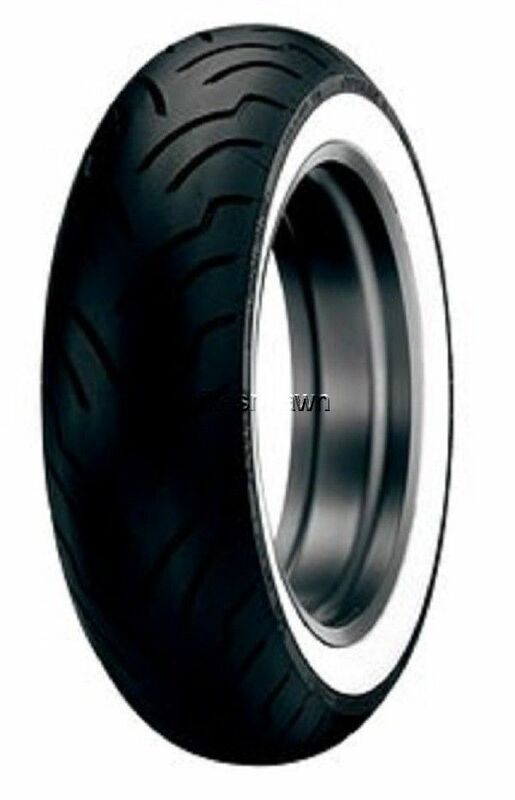 Dunlop American Elite Motorcycle Tire. Dunlop's new, 2nd generation American Elite tires deliver even more mileage for greater all-around performance.This is the only replacement motorcycle tire for Harley-Davidson motorcycles that is designed, tested, and made in America. The tread design provides even tread wear and quiet operation in wet and dry conditions.The American Elite delivers enhanced tire mileage thanks to an MT Multi-Tread rear tire compound that incorporates a long-wearing compound in the center of the tire, along with a lateral-grip compound on each shoulder for great handling. The American Elite sidewall design proudly features the American Elite name and a Made in USA logo. This Dunlop serves as a great alternative to the Dunlop D408F/D407 tires that came as standard equipment on the FL series machines. Now .